FORT MYERS, Fla. – Weather up north has delayed and cancelled flights in Southwest Florida yet again. On Sunday, several flights headed to the northeast were delayed or cancelled out of Southwest Florida International Airport. 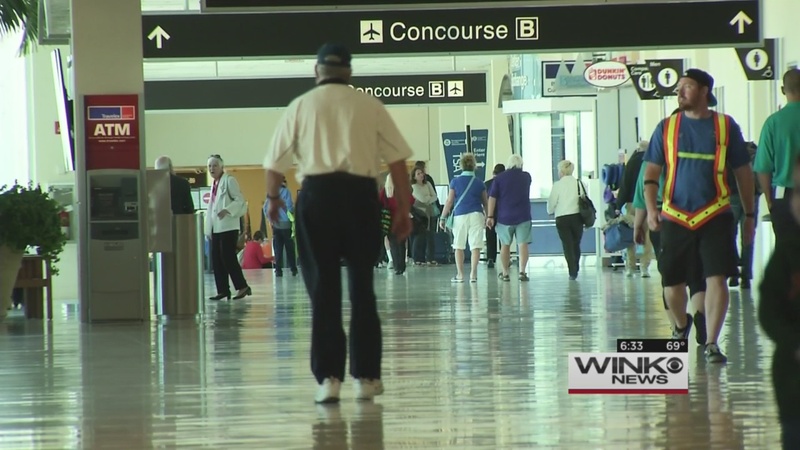 WINK News talked to several travelers, who said they were ready to get home. Meanwhile, travelers headed to Dulles International Airport in Washington, D.C. had to find an alternate flight because their flight was cancelled. Those travelers were re-booked on a flight to Reagan National Airport, then had to get a ride to Dulles. Another couple headed home to New York originally had a nonstop flight, but was re-booked on three separate flights. “We’re Atlanta, to Reagan, to JFK,” said Doug Wood. Airlines remind passengers to check your flight before you go to the airport.